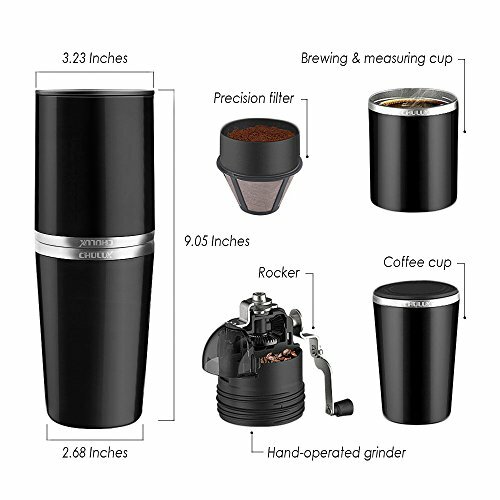 CHULUX Portable Coffee Brewer Grinder Mill, Adjustable Ceramic Burr, SS304 Coffee Travel Mug. 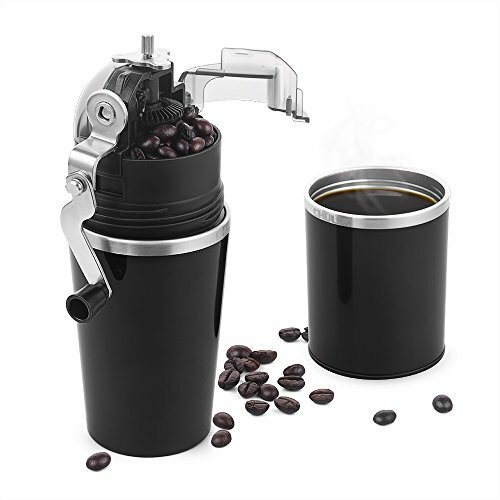 Portable Grinder + Brewer – All in one machine,contains all accessories you need for delicious hand-made coffee, brew kettle+hand mill grinder+precision filter dripper+tumbler cup, perfect for office,travel,camping and leisure. 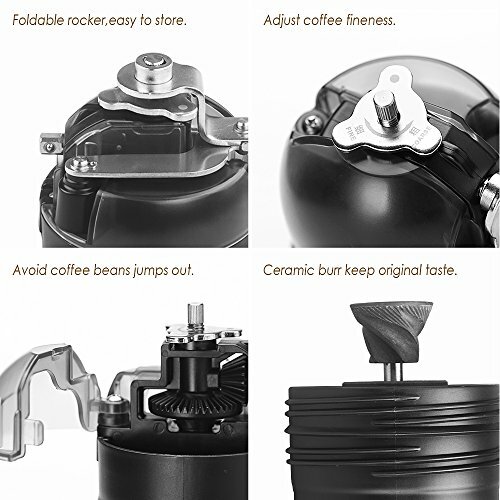 Foldable hand crack system with chamber lid,avoid coffee beans jumps out and dust gets inside during grinding.High precision filter offers uttermost filtration and sufficient brewing time. Ceramic burr with coarseness adjustable, CHULUX manual coffee mill cups features a conical, ceramic burr that produces a consistent grind and allows you to adjust grind size by simply turning a knob. 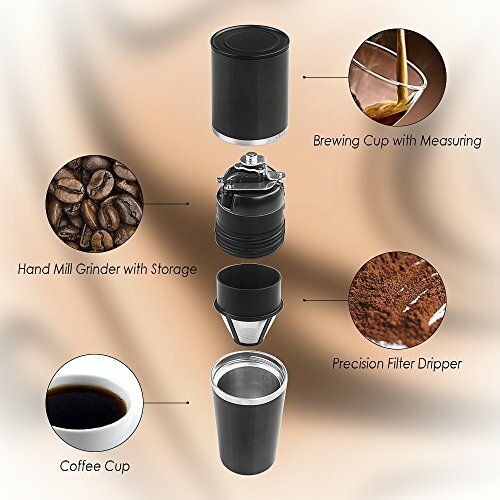 Food-grade SS304 cups,avoid to bring any plastic taste to you coffee .Brewing Cup with measure guide depend on your choice for making 1-2 serving coffee. 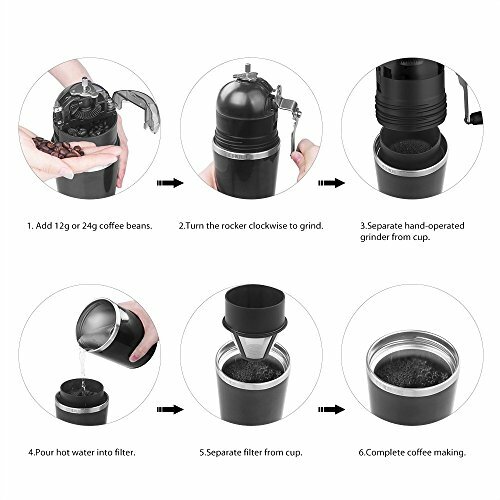 Unique vertical-stack structure design make it save space,easy to carry and enjoy original flavor coffee in anytime at anywhere.Also perfect gift choice.